Alan McConnell is the latest of the GIANTS' leaders to feature on Emma Quayle's podcast, The Leaders. The GIANTS have many people within the club that have great football experience, but none have the story of Alan McConnell. 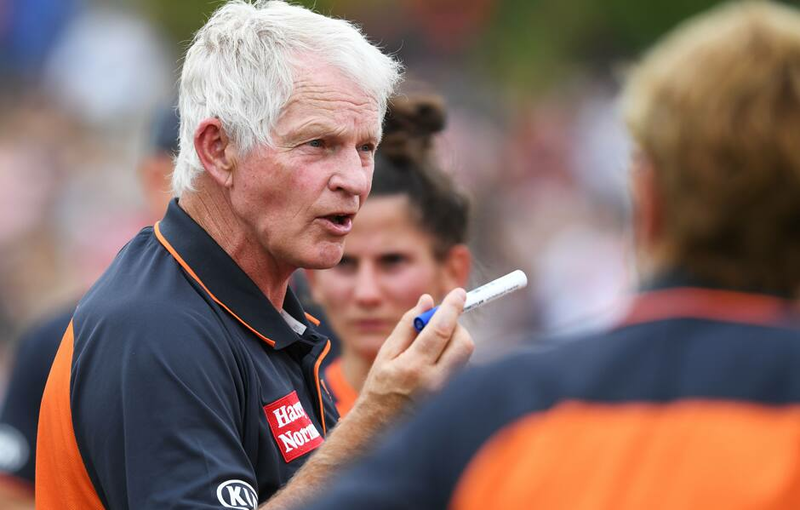 Director of Coaching and the GIANTS’ AFL Women’s coach McConnell has seen it all in his time in the game and knows a thing or two about leadership. In the latest episode of The Leaders Podcast, McConnell speaks to award winning journalist and GIANTS recruiter Emma Quayle about how he developed his leadership skills across his 39 years at the elite level. McConnell recounts the tough early years at the club, having moved from the Australian Institute of Sport where he ran the AFL Academy. McConnell speaks openly about the fears he faced during the GIANTS’ teething years and how his experience as the last coach of Fitzroy developed his drive to create a lasting legacy at the GIANTS. The 62-year-old talks about how he’s watched co-captains Phil Davis and Callan Ward blossom as leaders and how he’s had to change his leadership style as coach of the AFL Women’s program. He compares his two seasons at the helm of the AFLW team to his own time as a Footscray player in the early 80’s and his time as Fitzroy caretaker-coach in both 1995 and 1996. The Leaders podcast is available on iTunes, Spotify, Whooshkaa and anywhere else you get your podcasts from. The Leaders is a 10-part podcast series that speaks with the people who have shaped the GIANTS and played key roles as the club has grown from just a men’s football team to now include an AFL Women’s side as well as GIANTS Netball.